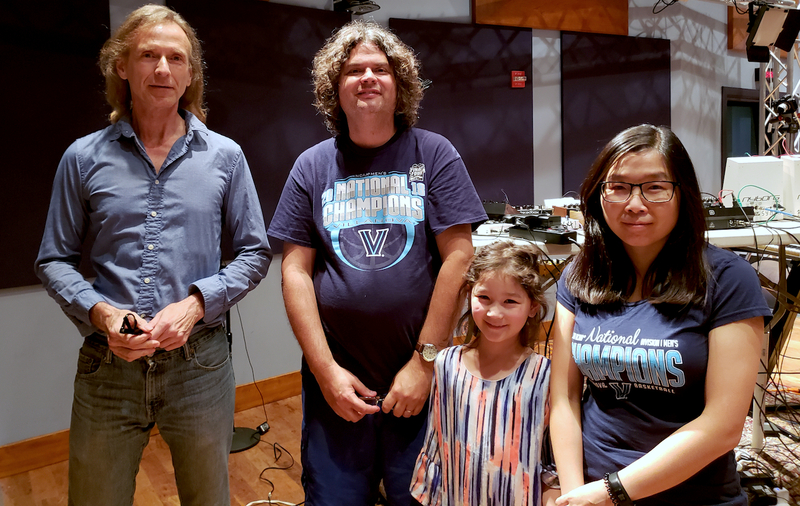 Electronic Musician, Concert Organizer and STAR'S END Host Chuck van Zyl took part in WXPN's 2018 Online Fundraising Auction with the offer of a unique listener experience. 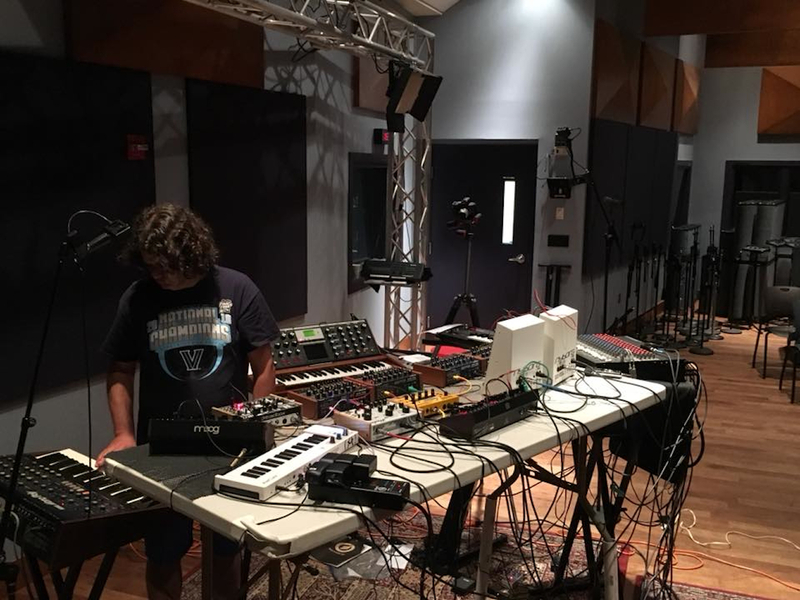 The winning bidder of Auction Item #113 received a one-on-one workshop with Chuck van Zyl covering synthesizer basics, followed by a private salon spacemusic concert for the winner and ten friends at WXPN's World Cafe Performance Studio. This fundraiser auction ran from 8:00AM on 15 March 2018 to 7:00PM on 11 April 2018 to great success. Thanks very much to everyone who took part in the 2018 auction! Your support is sincerely appreciated! and Thanks especially to Tony Masiello for his generous winning bid for the private lesson/salon concert! Please see photos and videos below. 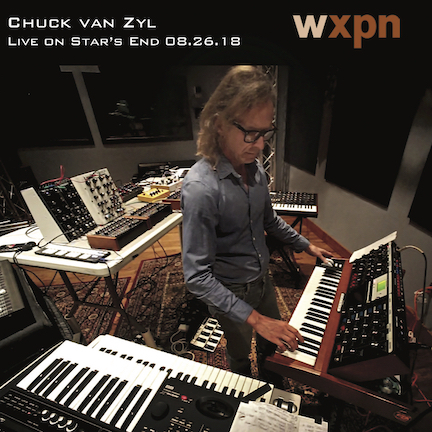 Produced by Public Radio Station WXPN, Chuck van Zyl: Live on Star's End 08.26.18 (63'36") is not a commercial release. It is available only as a "Thank-You" gift to those making a donation to WXPN/STAR'S END. This album is a conventional silver CD featuring over 60 minutes of the Chuck van Zyl live electronic realizations made in the WXPN performance studio during a private Salon Concert (for Tony Masiello) and live-to-air broadcast of 25/26 August 2018. Its four parts each offer passages of improvised in-the-moment sequencer manipulations, amidst the ethereal yearning of synthesized harmonies and cresting lead lines. The listener is invited inside, to float away as the patterns and textures envelope them - tumbling in circles, spirals and pinwheels, beneath unfurling ribbons of creamy synth melodies and modulated, chirping effects. 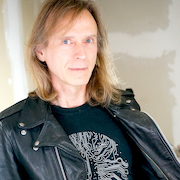 Chuck van Zyl: Live on Star's End 08.26.18 may seem more like a spiritual expression than an exploration of a musical form. This work has mysterious power purely on a sonic level. But the miracle of this release is that every time we listen to it, our minds will hear something new - and will so find a different album. 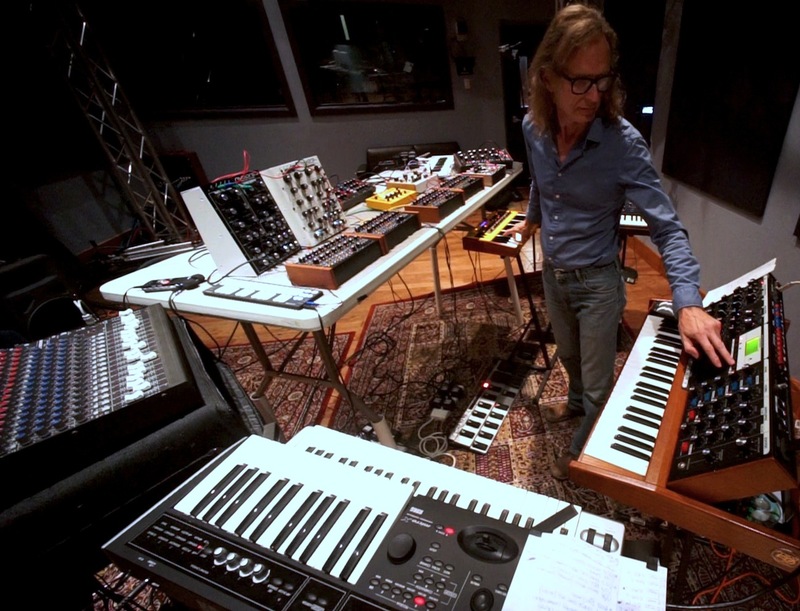 Absorbing the full tapestry of the Electronic/Berlin-School experience, and the ideals of live improvisation, we can easily imagine every concert outing serving as a mystic portal for this musician's own spiritual journey. Whether channeled from the astral plane, or just the transformation of electricity into sound, Live on Star's End 08.26.18 is for those seeking a deeper examination of tone and mood. Anyone in love with Spacemusic and its very specific poetry will want to own this recording. While this musical form may have been established in the 1970s, Live on Star's End 08.26.18 feels made-today fresh. A ceaselessly inventive work, its history begins now. "I really believe that the Star's End program is a very special program and it really connects listeners across the globe. I'm very pleased that WXPN has continued to include Star's End in their programming. There are many other outlets for this kind of ambient, space music these days, so fans like myself are spoiled with so much to choose from. 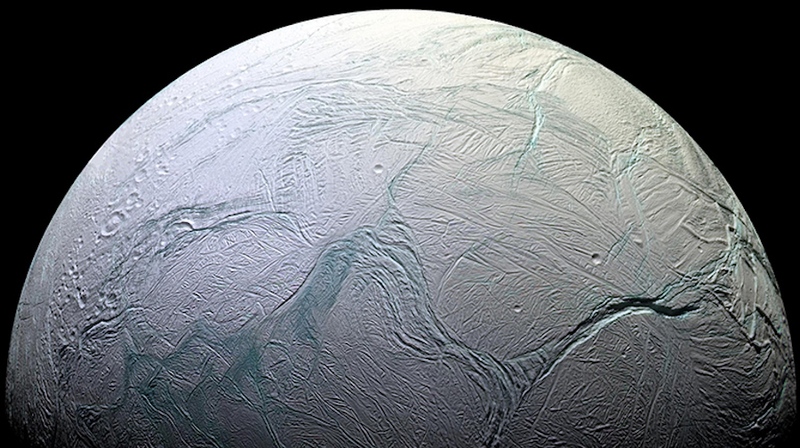 But, there really is no program out there that is like Star's End. Chuck's dedication to the show, to tracking down new and diverse material, formulating the mixes each hour, and almost always doing the show live, is really unique and special. 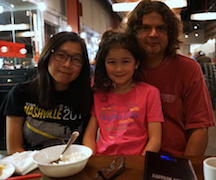 So, thank you again for offering this fan experience. It was an incredible experience for us, we could not have been more pleased with how it worked out, and we look forward to listening for many years to come".